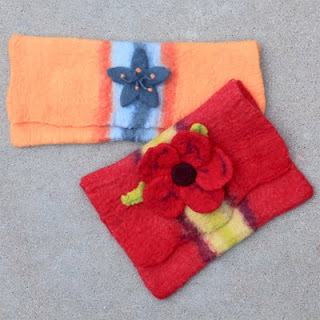 Designed and handcrafted by Kim Buchheit. 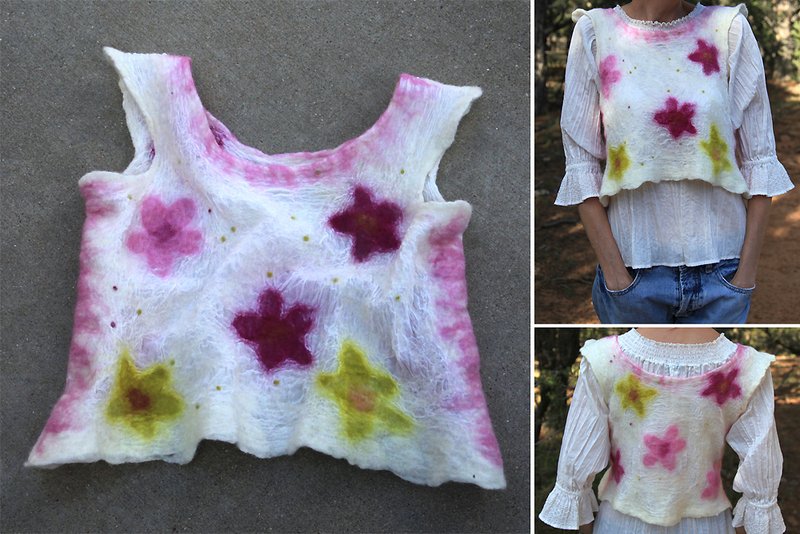 This no-sew, seamless top was nuno felted with silk and merino wool. I made some pre-felts first and cut out the flower petals in order to control the design a bit — arranging them on both the front and back. The piece shrunk a bit shorter than I intended, so improvisation was required for the photo shoot. :) This crop top can be worn alone for the brave-of-belly, or layered over a blouse, tank top, or camisole.